It is thesis term and alongside all the academic writing that comes with it, I decided to indulge in a class called “writing inspirations”. As first assignment I was asked to choose a picture and write about it – freestyle. Since I am not having time to write in here, I thought I might take the opportunity to choose something I wanted to talk about in the blog. 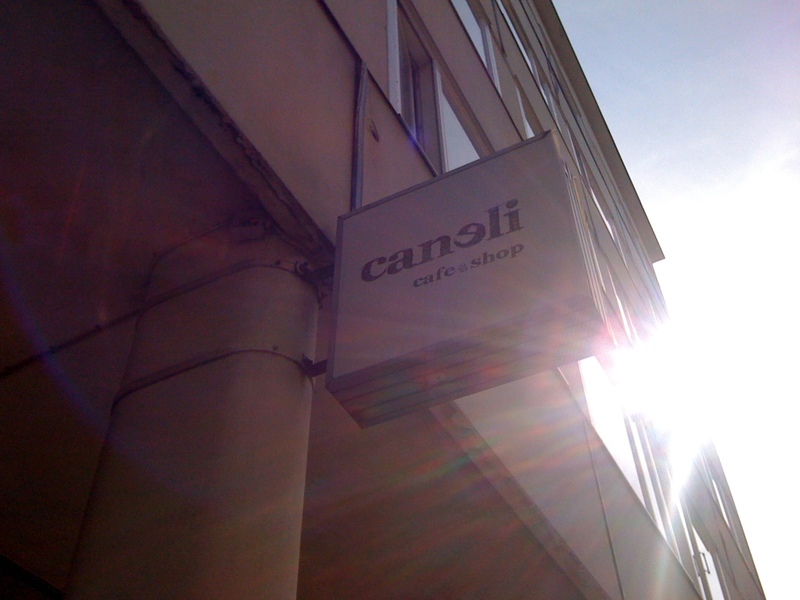 In 2011, during one of my “exploring Helsinki” days I came across Café Caneli. Helsinki is a lovely city in many aspects, but I have to say good coffee is definitely not one of them. So whenever I discover a place that serves high quality coffee, I become a regular. Caneli is small, simple and charmingly roughly finished. 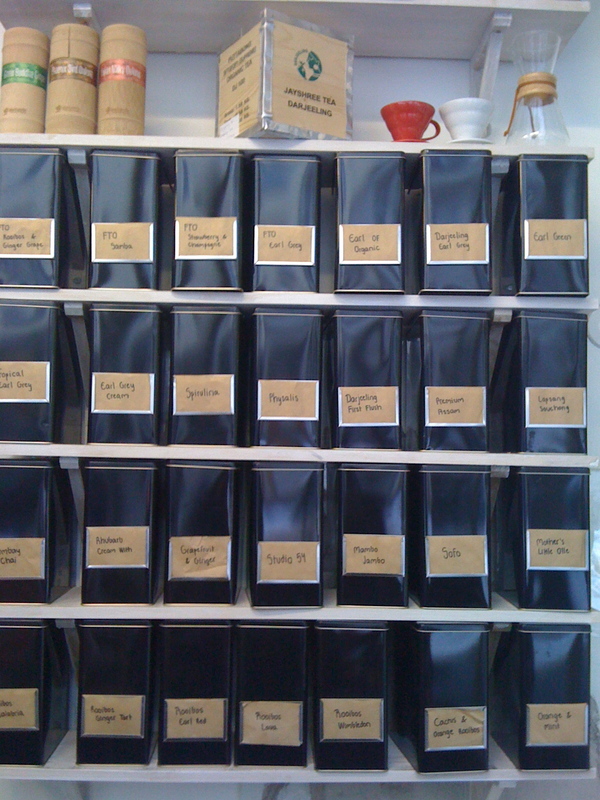 Repetition is its main decorative trick: black cans and brown paper sacks are neatly displayed on the walls, giving your eyes something to look at while enjoying your coffee. If you are the rare kind of person who doesn’t drink coffee, tea and smoothies are the other house specialties. Obrigada, Carla! Vou tentat atualizar com mais frequência. Abraço! Saudade de você, Dawson’s Creek! Vou ver se posto mais. Beijos! Esta café parece ser muito legal, sem frescuras e com café de verdade! patrícia, fiquei curiosa: porque os filandeses não sabem fazer café? Voce tem alguma explicação para isso? Acho que é a forma como eles estão acostumados a fazer café, Ellen. Café é uma bebida funcional por aqui, é mais pra manter todo mundo acordado e em estado de alerta durante o inverno, do que pra saborear. Pelo menos é a impressão que tenho. Abraço! No momento, não, Chiara. Mas você pode fazer pedidos diretamente conosco: contato@oiti.com.br. Patrícia, concordo com você, poder tomar um bom café faz toda diferença em nossas vidas. Para melhor, é claro!!! Obrigada pela visita, Marilena. Volte sempre. De café e de chá, Camila. Beijos. Oi, Cristina! Sim, está. Abraço. Brendita! 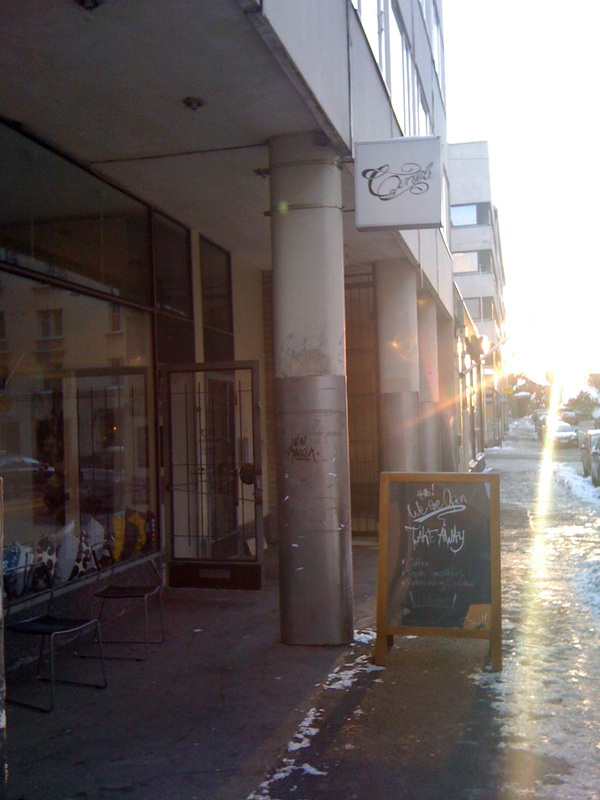 Soo… Coffee at Caneli this weekend? sempre acompanho a oiti, seu trabalho é muito legal!!!! !